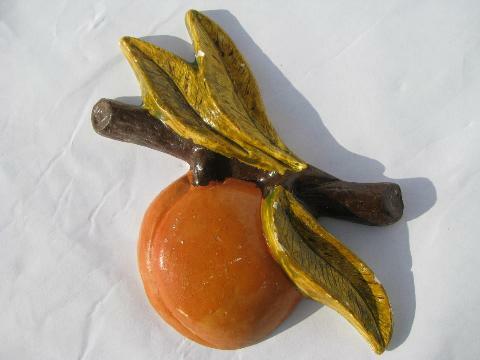 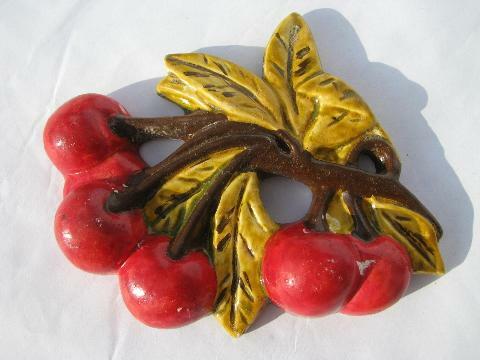 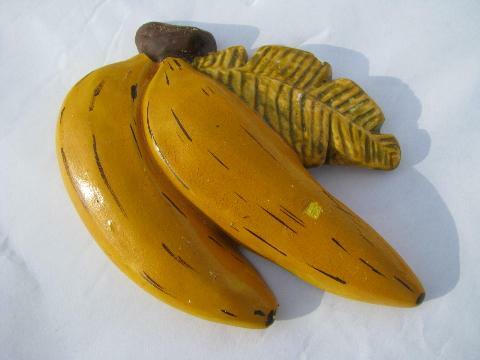 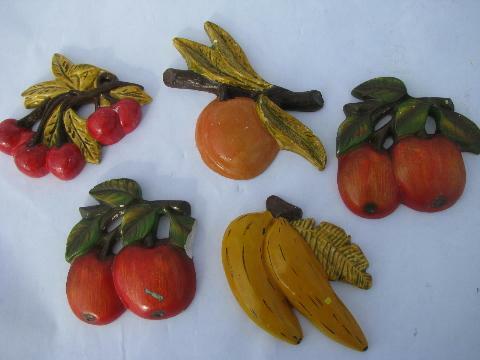 Lot of small vintage chalkware wall pieces, a lot of five painted plaster plaques, all fruit! 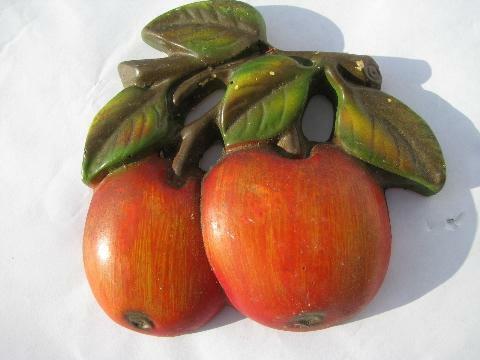 These measure about 3 1/2" x 3 1/2", and have hooks at the back for hanging. 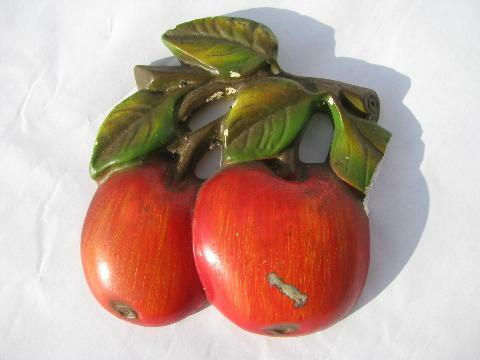 All of these have at least a couple of small dings and chips.... one of the apples has a leaf tip broken off.